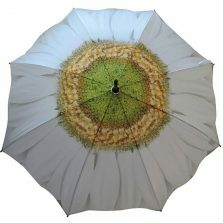 Another addition to our popular flower range of fashion umbrellas is the Sunflower Bloom. 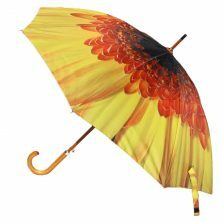 The golden yellow canopy of this fashion umbrella is bright and eye-catching with its wonderful, unique design. 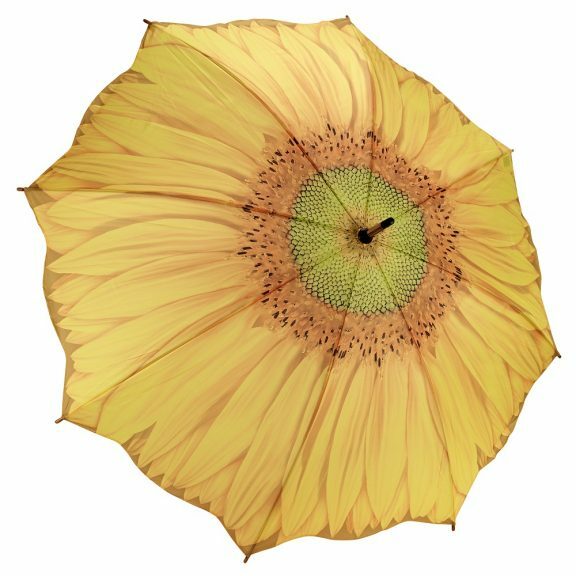 Introducing this fantastic sunflower umbrella – the Sunflower Bloom. Bright and beautiful – perfect for attracting someone’s attention or standing out in a crowd! 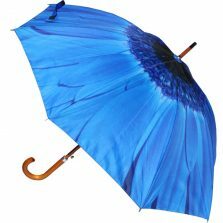 Measuring 35″ (89 cm) from handle to tip, and with a canopy span of 41″ (104 cm), these exciting fashion umbrellas are selling like hot-cakes. Don’t delay, order yours today and avoid disappointment. 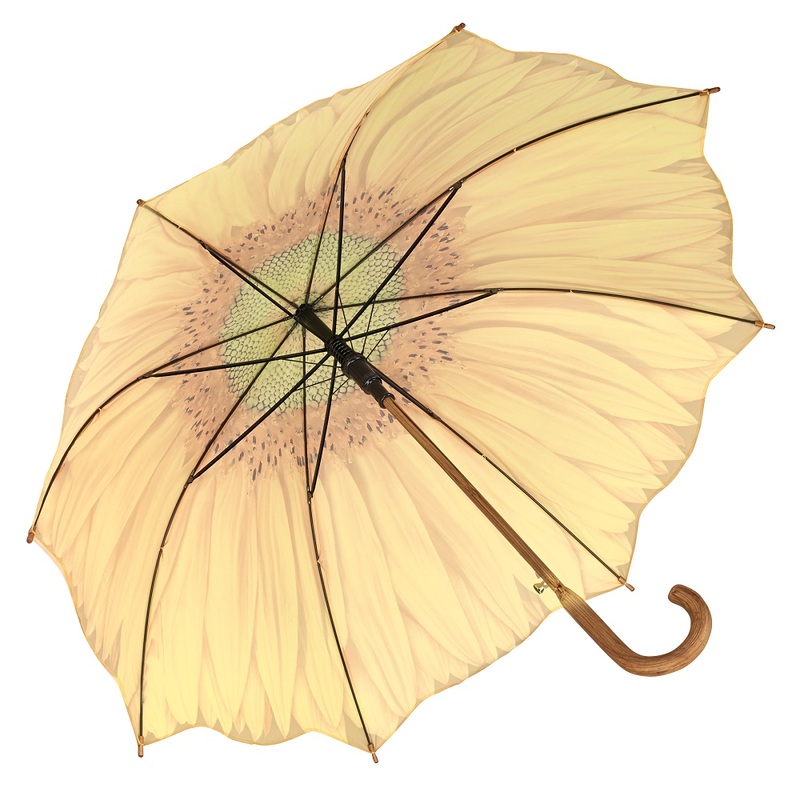 The Sunflower umbrella has a wooden handle and stem. It comes complete with matching spoke tips and a sturdy end. As well as this, this sunflower umbrella has a strong metal frame combined with modern lightweight fibreglass spokes and an auto-open mechanism for ease of use. 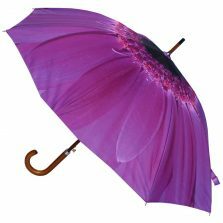 One touch of a button and this beautiful ladies umbrella opens ready to protect you from the worst the weather can throw at you.